Williams Kwarah, 32, comes from Navrongo, Ghana. He joined Grameen Foundation in June 2010 as the Technical Field Officer on our MOTECH (Mobile Technology for Community Health) project, and is now a Field Lead/Coordinator. Over the years, I have come to appreciate that there are simple ways of addressing the causes of most of the health problems that rural communities encounter. In addition to the vicious circle of poverty, some of the true causes are lack of access to information and services. I have always had the passion to help bridge this gap, to make health information more accessible to our rural folks – my people! Williams (left) helps a pregnant woman register for our Mobile Midwife service so that she’ll receive regular messages on her mobile phone about how to have a healthy pregnancy. Mobile technology is evolving in my part of the African continent, and it is a promising way of addressing most of our public health issues. The best part of my work is listening to our clients talk about how the Mobile Midwife messages have improved their lives, because they can now access quality health information and services readily at their homes on their mobile phones. Our health workers also tell us how the system helps them easily track their patients and give better care, helping them manage client health data efficiently. The flip side of this is lack of funds to implement other activities that will enhance our services. Because MOTECH is a single project and budgets are limited, it becomes quite difficult to incorporate auxiliary programs that also help rural families. For example, phone ownership among pregnant women in rural communities is relatively low. But we can expand our reach by equipping a trusted community agent with a mobile phone to help women without phones listen to helpful messages regarding good health practices. In addition, providing portable solar charging devices for charging mobile phones in those communities off the national grid power would help many more women access this life-saving information. Overall, when I lie down at the close of the working day, and I am able to say I have successfully trained 50 nurses on the use of a phone application, helped register 50 clients into Mobile Midwife, and installed two agents to assist clients get the messages – it’s a wonderful feeling. We hope that our supporters share this “wonderful feeling,” knowing that you are truly making a difference in the lives of poor women. Please consider helping us reach more poor women in rural Ghana and around the world by supporting Grameen Foundation today. Mariatu Manafo, of Ofaakor, Ghana, is thankful for Grameen Foundation’s donors and their support for our Mobile Health initiative in Ghana, known as MOTECH. Through its “Mobile Midwife” service, poor pregnant women and new mothers receive vital care information to help them have a healthier pregnancy and to better care for their baby during the first year of the child’s life. Here’s her story, as told to Grameen Foundation staff in Ghana. I registered for the Mobile Midwife service when I was in my first trimester. Before the introduction of the messages in Ofaakor, I had lost two previous pregnancies. This was partly because I had to rely on recommendations from some friends and extended family members about the use of herbal medication that they felt was helpful. I hardly ate any fruits or drank enough water during my earlier pregnancies. 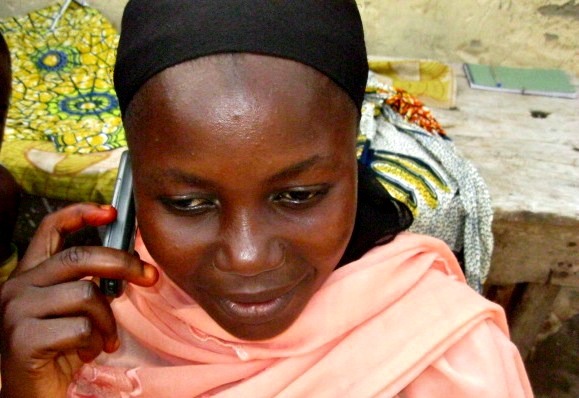 Mariatu listens to messages on her mobile phone about how to have a healthy pregnancy and raise a healthy baby. Listening to Mobile Midwife messages every week of my third pregnancy really made a big difference, and now I have my beautiful daughter Salamatu. A message that was really helpful was on nutrition. My husband Nuru took interest in the messages and most often listened to the content with me, perhaps because of the previous miscarriages. With both of us listening to the messages, he realized the importance of eating more fruits during pregnancy, and he often brought home fruits for me. I am a living testimony to how Mobile Midwife has really helped. Previously, I was more susceptible to the complications associated with pregnancy and childbirth. I did not have the necessary information to make decisions regarding my unborn child – I simply did not know the right kinds of food to eat, or how I should care for myself. I did not know when – or if! – to go for medical checkups. Before, I took certain symptoms during pregnancy lightly, but Mobile Midwife empowered me with the right information about pregnancy and childbirth. Mariatu credits our Mobile Midwife service for helping her stay healthy during her pregnancy, and now she has her beautiful baby daughter Salamatu. As a family, we are now able to save some money – we do not have to visit the health center because of malaria and other common childhood diseases. Some of the messages advised us to always use insecticide-treated mosquito nets to prevent malaria. My wife always insisted that we use the nets and she regularly visited the clinic for her malaria drugs when she was pregnant. I am always thankful for Mobile Midwife in our community, especially because, before, my family knew very little about pregnancy and child care.. The messages encouraged my wife to go to the health facility for delivery and now I am a proud father of a beautiful daughter whom I have christened the MOTECH baby! 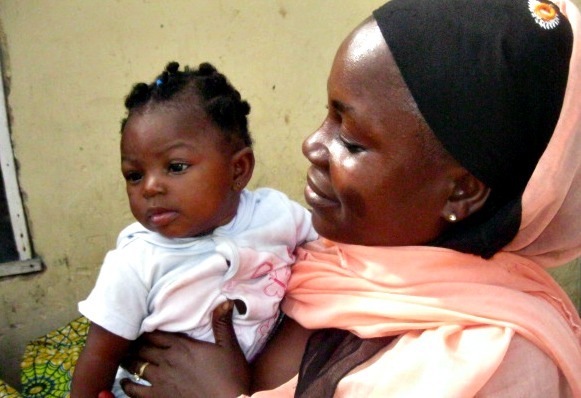 Thanks to the support of our donors, Mariatu and Nuru were connected to vital information that helped them theirr healthy baby daughter, Salamatu. You can help more families like theirs by supporting Grameen Foundation today. Michael Castellano is a graduate student at The George Washington University, studying International Affairs and Development. 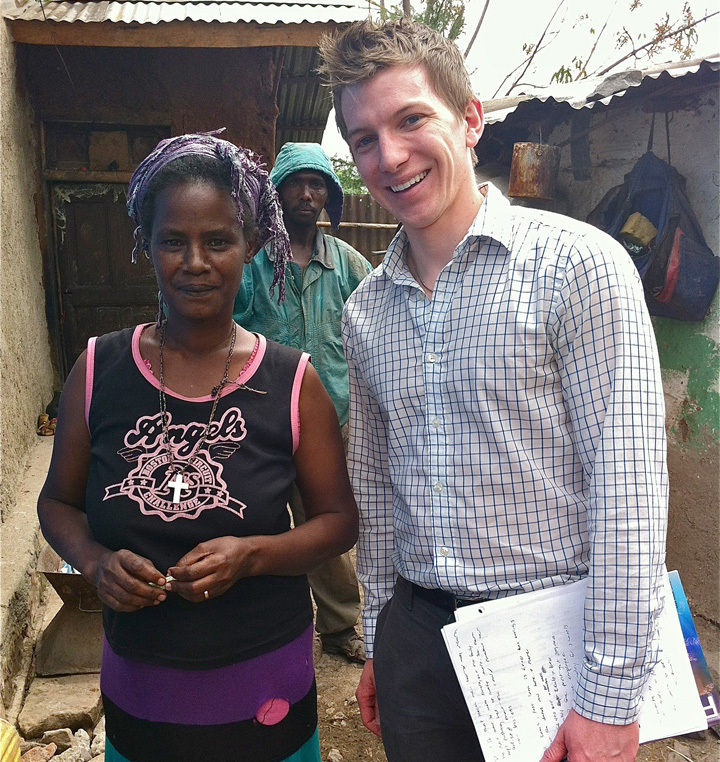 He interned with Bankers without Borders® at Grameen Foundation during the spring of 2012. In the years following the global financial crisis, politicians and policymakers across the globe have harped on one cardinal goal: economic growth. Without a doubt, plans for growing the economy will dominate discussions in the upcoming U.S. presidential election. It seems as though we as a society have collectively determined that if only the economy would turn around, conditions would certainly improve across the board. If only we could enact legislation to spur economic growth, inevitably we would all be better off. Fortunately, statistics show that the United States has seen steadily climbing annual growth rates since the nadir of the “Great Recession.” Developing countries and emerging economies have, on the whole, experienced average growth rates of more than 5 percent thus far in 2012 and will continue to propel the world’s progress, according to financial forecasts. So – this is good news for everyone, right? Although a country’s national economy may grow, the poorest of the poor often remain completely disconnected from the financial, political and social systems in place. 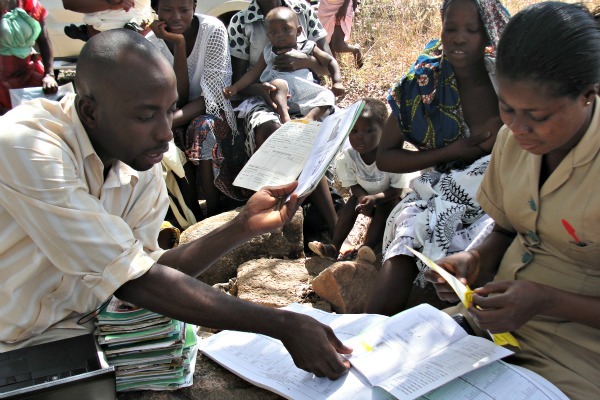 Without active bank accounts, the poor cannot easily save or access other financial services. In rural villages, people may not have easy access to healthcare and can quickly fall victim to external shocks such as disease or natural disaster. Without these services, poor people around the world cannot reap the benefits of overall economic growth. 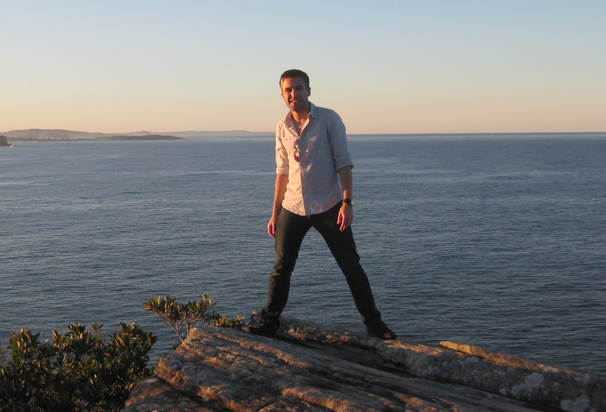 Michael Castellano, shown here during a trip to Australia, served as an intern at Grameen Foundation this spring. Alex Counts is president, CEO and founder of Grameen Foundation, and author of several books, including Small Loans, Big Dreams: How Nobel Prize Winner Muhammad Yunus and Microfinance are Changing the World. I first met Isobel Coleman, Senior Fellow for U.S. Foreign Policy and Director of the Civil Society, Markets and Democracy Initiative at the Council on Foreign Relations, through one of our greatest Grameen Foundation Board members, Lucy Billingsley. When Isobel and I were introduced to each other, she was running a small program at the Council focused on women’s issues. She has since grown it into a flagship initiative of this prestigious institution, and her reputation as a researcher and thought-leader has naturally grown along the way. I was therefore very pleased when she invited me to speak as part of her Women and Technology series last week, alongside Ann Mei Chang, senior adviser for women and technology, Office of Global Women’s Issues at the U.S. Department of State (and formerly with Google), and Scott Ratzen, Vice President for Global Health at Johnson & Johnson. The title of the session was “mDevelopment: Harnessing Mobile Technology for Global Economic Growth.” We had a planning call with Isobel, Scott and Ann Mei the week before and I realized I was joining some extremely knowledgeable and articulate people. To prepare, I read up on all of Grameen Foundation’s many programs that work to alleviate poverty by leveraging the mobile phone revolution, as well as some related research on inclusive business models. 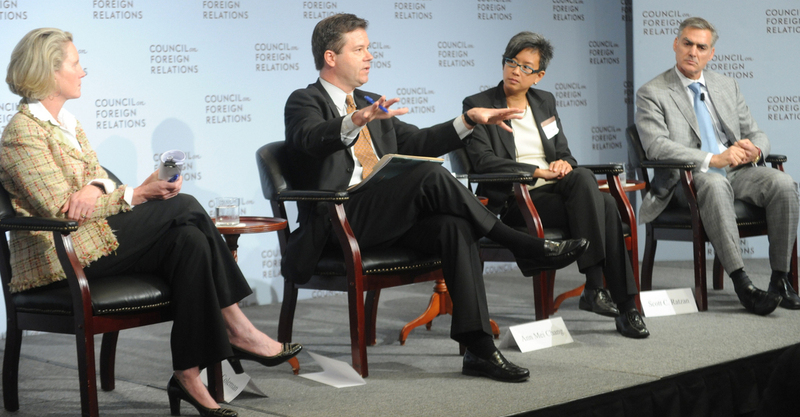 Alex Counts makes a point while (from left) Isobel Coleman of the Council for Foreign Relations, Ann Mei Chang of the U.S. State Department and Scott Ratzan of Johnson & Johnson listen. The event was kicked off with remarks by Suzanne McCarren of ExxonMobil, which sponsors this speaker series. Suzanne, whom I sat next to during lunch, explained why women’s economic development is a high priority for their company’s foundation, which has made more than $50 million in grants so far, according to my notes. Then Cherie Blair, the former first lady of the United Kingdom and the founder of a foundation that bears her name, spoke. She announced the release of an important new report titled, “Mobile Value-Added Services: A Business Opportunity for Women Entrepreneurs.” I had met Cherie several times through Meera Gandhi, whose book Giving Back features the Cherie Blair Foundation for Women, as well as Grameen Foundation. The annual Mobile World Congress is the place to see the latest mobile phones and applications before they hit the market. But that’s not why Tim Wood is there. As director of Grameen Foundation’s Mobile Health initiative, he’s more interested in how the mobile industry can help improve health outcomes for people who can barely afford a $20 phone. Tim was part of a panel discussion on mobile health for development – the first of its kind to be held at a Mobile World Congress. He hopes this will galvanize even greater awareness of, and support for, the life-changing opportunities that a simple phone can provide to poor people around the world. Grameen Foundation’s Mobile Health solutions focus on improving patient care for the poor by helping healthcare providers become more efficient, and by making modern medical information easily accessible and relevant to the poor themselves. In Ghana, we have been working through our MOTECH initiative with the Ghana Health Service on a “Mobile Midwife” service that sends weekly messages to pregnant women and new mothers reminding them of appointments and providing health tips that reinforce advice from their local nurses. In addition, nurses can update their clients’ data on their mobile phones and access their records as needed. Since 2010, we have registered more than 11,000 pregnant women and families in the country’s remote Upper East Region. Be sure to follow our coverage of the Mobile World Congress 2012 to learn more about how we can deliver products and services to poor, rural communities through the 4 billion phones that are already in developing countries and emerging markets. This is a guest post from Sudarshan Behera, Field Executive for our Livelihood Pathways for the Poorest project in Gaya, India. Sugia Devi was a changed woman on November 7, 2011. She had just left the free cataract clinic in Bodhgaya in India’s northern state of Bihar and was grateful for her improved eyesight. She couldn’t wait to thank the people who had made it possible: the members of her adapted self-help group (ASHG). 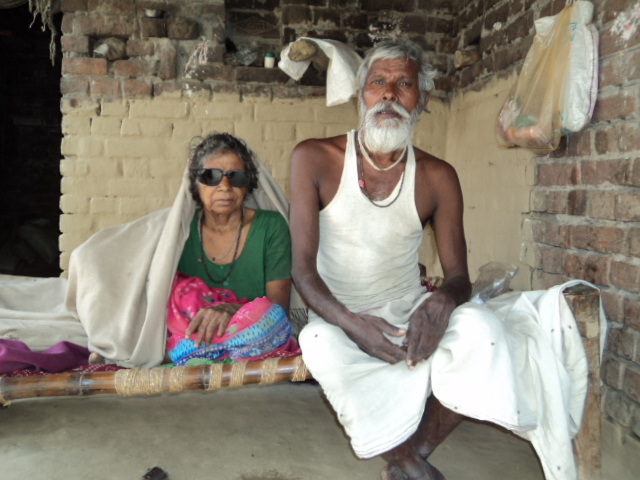 Sugia Devi and her husband. The group is part of Livelihood Pathways for the Poorest, a joint project of Grameen Foundation’s Solutions for the Poorest group and BASIX/The Livelihood School that is designed to enhance the skills of the ultra-poor, link them to income-generating activities and build their savings habits. Sugia lives in Khaneta village with her husband and her son, and his family. When she first heard about the ASHG in August, her husband did not want her to join the program because of mistrust and a lack of understanding about the benefits of participation. She persisted and began attending meetings and saving a small amount each week. Starting with an initial deposit of 10 rupees (about 2 cents), by November she had saved 130 rupees (about $2.40). But it still wasn’t enough to pay her fare to get to the free clinic in Bodhgaya some 30 kilometres (19 miles) away. That’s when Sugia turned to the members of her ASHG. In addition to providing a safe place to save, the groups also provide its members with quick access to short-term loans. Sugia’s group members approved her loan of 100 rupees, enabling her to cover her transportation costs for her operation. Today, Sugia’s husband has a better appreciation for the value of the self-help groups, while she knows that her family can rely on the group when they need help. As her husband noted, before the ASHG, the family would have had to borrow from moneylenders who typically don’t lend less than 500 rupees (about $9), at very high interest rates. Sugia has recovered from her operation, and now Friday – the day her ASHG meets – has a special importance in her life. Sandra Fernandez is a Social Media Intern for Grameen Foundation. Over nearly the last year, we’ve been piloting our Mobile Technology for Community Health, or MOTECH, initiative in the remote Upper East Region of Ghana. MOTECH’s two key services – Mobile Midwife and Nurse Application – provide maternal health information via mobile phones to both pregnant parents and their community nurses in rural areas. The system was launched in July 2010, and we’ve experienced many successes ever since. As is expected with any new projects, it’s also been an intensive learning process. Here’s a short overview of some of the lessons we’ve learned. Creating the content for the Mobile Midwife service was a fascinating process. We convened focus groups to test whether our messages were clear, effective and helpful – where, among other things, we learned that we needed to be sensitive about the accent and speed of the messages, as well as the “depth.” Mobile Midwife users strongly preferred to hear messages from a voice that sounded like an experienced “auntie”– meaning a voice that wasn’t too formal or too casual, but wise and familiar. Using voices that users felt were trustworthy was a vital step in ensuring the effectiveness of our messages. MOTECH’s Nurse Application – designed to help community health workers track patients’ needs and care – was originally meant to utilize the nurses’ personal phones. Yet we learned that over the long term, it was cheaper and more effective to provide participating nurses with low-cost, durable handsets that were pre-programmed with MOTECH forms for data entry. As such, we could avoid the considerably high text-messaging costs associated with personal mobiles, while experiencing an easier, more cohesive training process. These are just a couple of the findings. We’ve learned a lot since July of last year, and expect to continue doing so in the coming months. We’ve recorded more than 150 MOTECH messages (even some in song! ), and we’re currently working on a replication project in the Awutu Senya district of Ghana’s central region, to assess opportunities of expanding the MOTECH initiative nationally. If you’d like to read more about our findings, we’ve recently prepared a report of lessons learned available for download.